Give the gift of an innovative meal crafted from artisanal ingredients by our very own Chef Paco with restaurant gift cards from Casa D’Paco. A dinner with us is the perfect way to honor a birthday, celebrate an anniversary, reward a hard-working employee, or treat a friend to some of the most mouth-wateringly good — and authentic — Spanish food around. Giving restaurant gift certificates to Casa d’Paco is a passport to a world of flavors where old-world skill and artistry is still present in every dish. 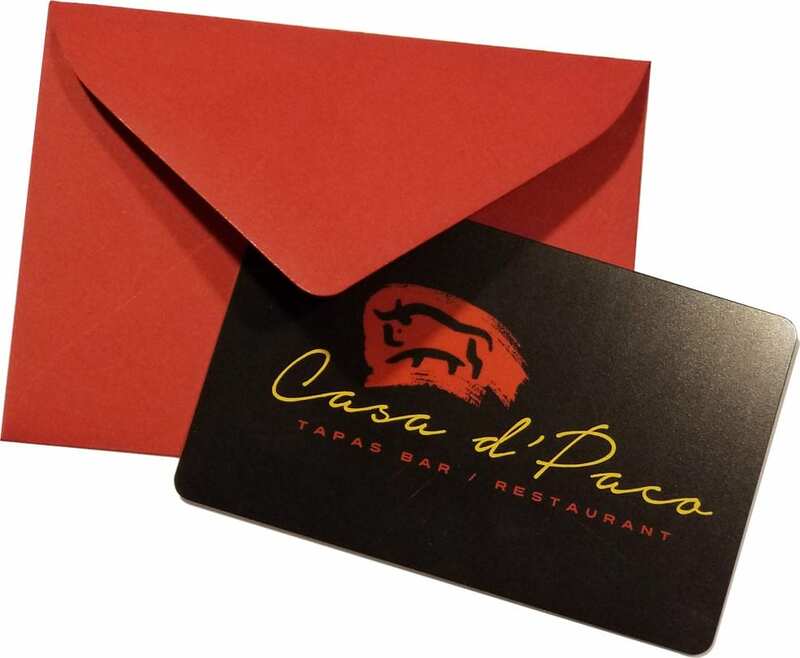 Get your Casa d’Paco restaurant gift cards now, or call 862-307-9466 — and leave the cooking to us! © 2017 by Casa d'Paco. | Designed and Managed by L.A. Marketing & Web Presence Consulting, LLC.